The savvy approach to cooking in bulk, planning meals, and eating better. Over the last few years, I have come to realize that smart cooks and chefs all over the world know that “leftovers” is not a bad word. Instead, that word represents time and money you’ve already spent! Why not use it? Love Your Leftovers will show you how to create foundation dishes, in decent quantity, when you have the time–perhaps on a lazy Sunday afternoon–and then repurpose those leftovers to make other delicious dishes throughout the week. Cooking this way saves time and money and allows busy people to eat well every night. Love Your Leftovers includes breakfast, lunch, dinner, and dessert options as well as a wide range of cuisines. If you make a Roast Chicken one night, you can then make Chicken Tortilla Soup, Creamy Chicken Pesto Pasta, or Chicken and Dumplings another night. A Flank Steak can morph into Spicy Beef Wontons or Vietnamese Noodle Salad. Spicy Black Beans can become Black Bean Burgers or Crunchy Black Bean Tacos. 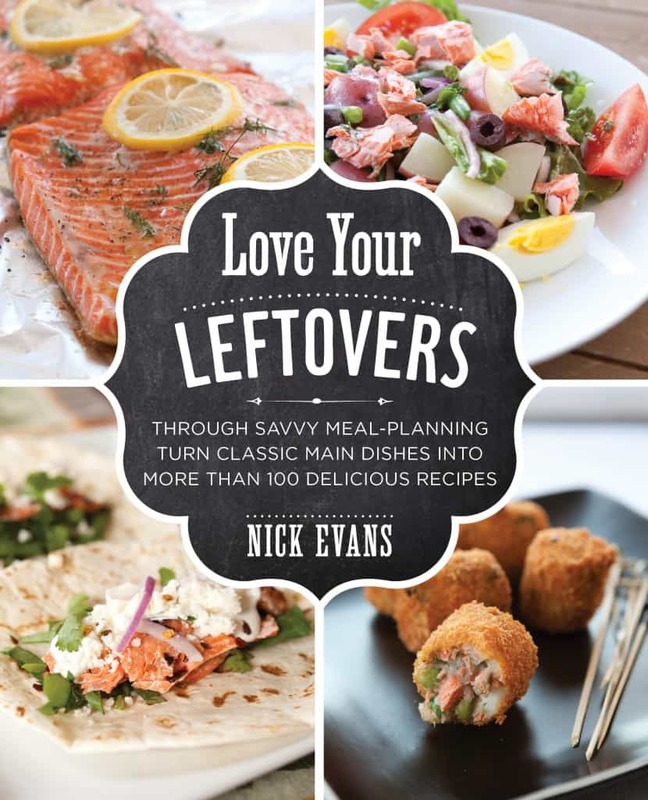 Love Your Leftovers also features chapters on kitchen and pantry basics and Meal Planning 101, as well as a helpful index of vegetarian and thirty-minute meals.